Misclicking is an inevitability whenever you are playing more than 20 tables at once. The most tilting ones are usually the odd occasions where you fold premium hands preflop, especially when it's Aces or Kings. However, this surpasses all previous misclicks in terms of hand-strength, but I'm very pleased it was only in a $2 180-man, and early as well. Deep in a $12 180-man would be so much more tilting! I was rather pleased when I picked up my first Sharkscope Star at the end of last year. Now I have picked up my first Gold Star. This one isn't quite as sweet as others I have held, as they were in Total Profit tables. This one is based only on my last 500 games so is really just a testament to the fact I've run good/above expectation recently, and is an unsustainable winrate in the long term. But still, it's always nice to be running good and it's nice to have a GoldStar, even if it will in all likelihood disappear after my next session or two. 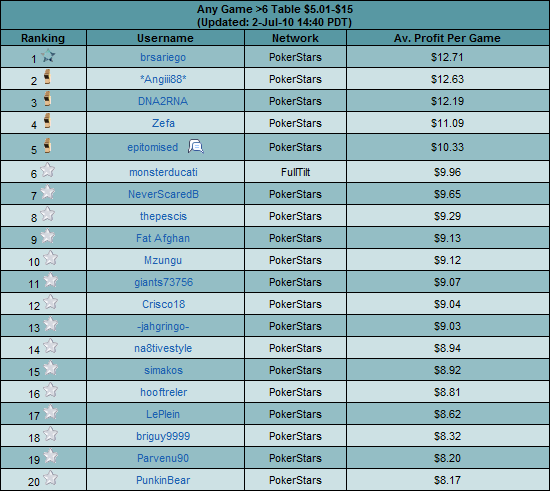 Yesterday was my most profitable day of the challenge so far. I just ran ridiculously good in terms of podium finishes. I had my first Scheduled tournament success, finishing 2/692 in a $7.50 turbo, which I was a coin-flip away from winning, but nevermind. I've finally got rid of the fish symbol for Scheduled tournaments, and now although I still am in the red for profit, I have a good positive average ROI. 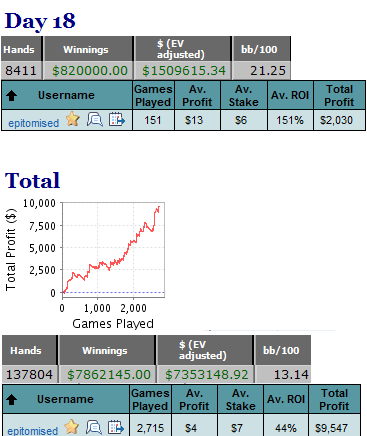 If only I ran better in the Sunday Million! 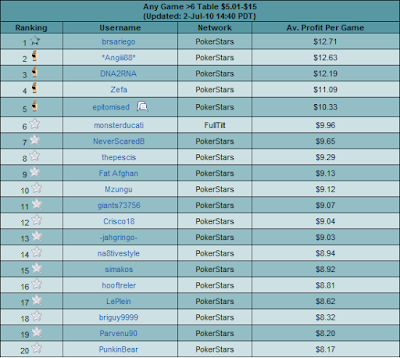 1 Comment to "Folding Quads, Sharkscope Gold Star (+ SNQ Day 18)"
You have pretty good stats on PokerOptimizer as well.